Most of us have taken an antibiotic for certain illnesses. I am no stranger to being prescribed one in the past. In fact, until recently I thought most infections could be treated with antibiotics. But that is not true. Here’s what you need to know about antibiotics (for your health and your family’s health). Antibiotics are critical tools for treating people with serious and life-threatening conditions like pneumonia and sepsis, the body's extreme response to an infection. 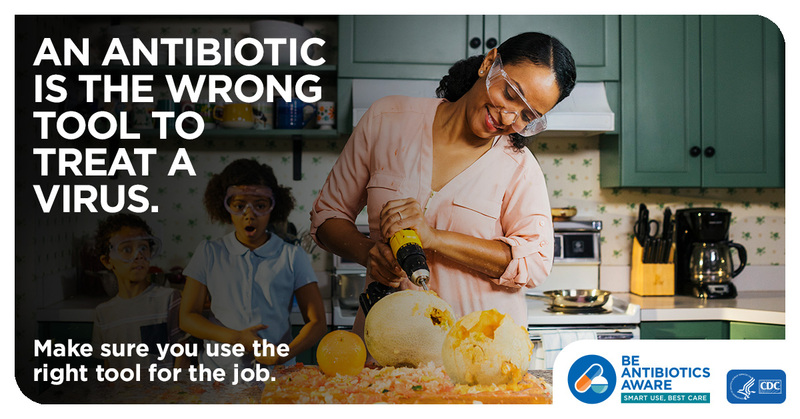 Antibiotics do not work on viruses that cause colds and flu, bronchitis, or runny noses, even if the mucus is thick, yellow, or green. Antibiotics are only needed for treating certain infections caused by bacteria, but even some bacterial infections get better without antibiotics. 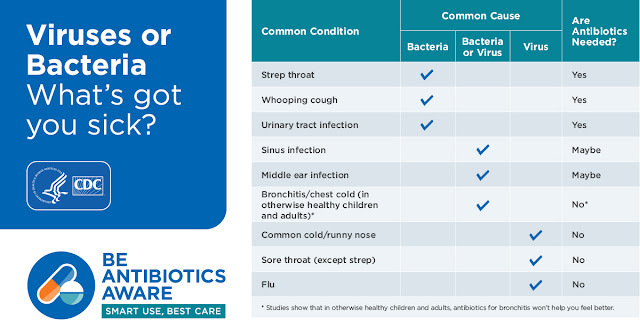 Antibiotics also aren’t needed for some common bacterial infections, including many sinus infections and some ear infections. When antibiotics aren’t needed, they won’t help you, and the side effects could still hurt you. Side effects range from minor to very severe health problems such as a rash or Clostridioides difficile infection (also called C. difficile or C. diff). However, when you need antibiotics for an infection, the benefits of the drug usually outweigh the risk of side effects. 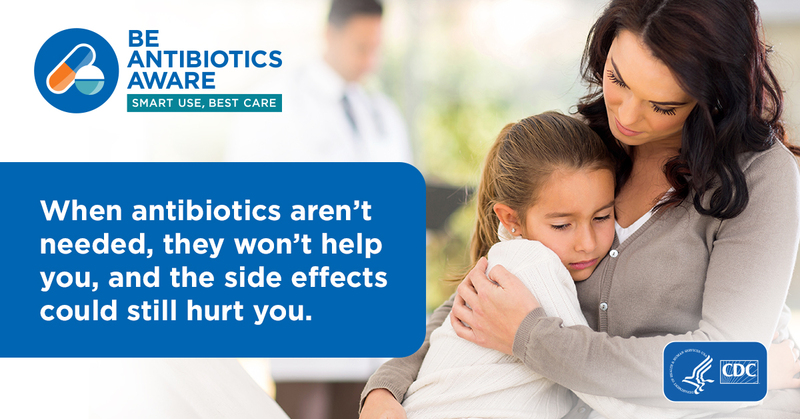 Any time antibiotics are used, they can cause side effects and can lead to antibiotic resistance, which is dangerous. Antibiotic resistance does not mean the body is becoming resistant to antibiotics; it means that bacteria develop the ability to defeat the antibiotics designed to kill them. Each year in the United States, at least 2 million people get infected with antibiotic-resistant bacteria. At least 23,000 people die as a result. This is one of the most urgent threats to the public’s health, which is why we should be sure to use antibiotics only when they are needed. If you need antibiotics, take them exactly as prescribed. Talk with your doctor if you have any questions about your antibiotics or if you develop any side effects, especially diarrhea since that could be a C. diff infection.